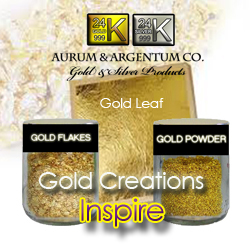 Aurum & Argentum Co. has a certificate of content gold purity. We sell gold leaf, gold flakes and gold powder as goods. Gold leaf, gold flakes and gold powder have many different uses, we only give examples of their uses on our website. We have 3 products gold leaf, gold flakes and gold powder. Our 3 products are 24k 99% gold with 1% silver. Edible gold is classified as a food coloring CI 77480 E175 and silver E174 in Europe. Edible gold is mainly used as food garnish decoration, cosmetic additive or coloring. You will have to check your local FDA for further information on regulations in your country, as each country has different regulations for different uses of gold. eg. gold cosmetic additive, gold food coloring, consuming gold and skin gold contact. Some countries may not have any restrictions on specific use of gold. As far as this and other areas are concerned. Companies are required to do their own due diligence, when using gold or any other product we sell to comply with all local and regional regulations. Is Gold safe to eat? Yes, gold is safe to eat. 22k, 23k and 24k are safe to eat as long as the alloy combination is silver and gold. Here is more information about ingesting gold. 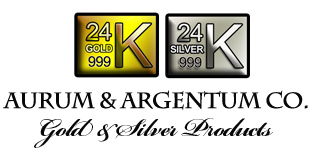 Aurum & Argentum Co alloy combination is gold and silver. *You may need to adjust screen resolution to watch video. Change quality on video player settings below. “Zú jīn (Mandarin), Chuk Kam (Cantonese) (足金) means pure gold, literally “full gold”. It is defined as 99.0% gold minimum with a 1.0% negative tolerance allowed. The quality of gold is guaranteed with a “Certificate of Gold” upon purchases in Hong Kong and Macau. Some customers ask if gold leaf is 100%. And, why does the stamp have an elephant with 100% gold leaf brand? The answer is the gold leaf with an elephant stamp of 100% means that it is indeed 100% gold leaf not the purity of gold. Meaning most Thailand gold leaf will have an elephant stamp with 100% gold on it regardless the gold karat. It is also the trademark of the maker of the gold leaf. Most of the gold leaf is used for art decoration mainly 23k 96.5% gold with 100% elephant stamp. Chuk kam gold minimum 24k 99% gold leaf is used for food garnish on desserts and statues.